Do you know what to do if your cat has a seizure? Here's the lowdown on what to expect and how you should react if it happens. It can be very upsetting to witness your cat have a seizure. To provide your cat with the best care possible, it's important to have a better understanding of seizures in cats. Here's everything you need to know. "Watching your pet have a seizure is one of the most helpless feelings an owner can have, since there's nothing you can do to stop it once it starts," says Dr. Denise Petryk, the director of veterinary services at Trupanion, a pet-insurance firm. A seizure is an episode of abnormal electrical activity in the brain. This can happen as an isolated event or occur on a weekly or monthly basis. Seizures in cats often appear suddenly and are best described as a burst of unusual activity. Signs of seizures include anxiety, visual disturbances, loss of focus, chomping, chewing and/or foaming at the mouth, collapse, jerking of the limbs, urination and defecation. These signs will last anywhere from a few seconds to a few minutes. "Immediately following the episode, your cat will appear disoriented and 'out of it' before gradually returning back to normal," says Dr. Rachel Barrack, a veterinarian, veterinary acupuncturist and certified veterinary Chinese herbalist in Manhattan. She also notes that some seizures are atypical and manifest with aggressive licking or chewing or dramatic hysteria or rage. Panicking will only make things worse. Don't try to wedge something in your cat's mouth. She will not swallow her tongue, and interfering with her mouth will only cause more harm. If your phone is handy, take a short video of the seizure. "It is always helpful to record the seizure so your veterinarian can review the episode," says Dr. Barrack. Once the episode has stopped (typically within a few minutes), schedule an appointment with your veterinarian so she can determine the cause of the seizure and begin appropriate treatment. Should the seizure last more than five minutes, this is considered a medical emergency and must be stopped to prevent permanent brain damage. Bring your cat to your veterinarian immediately. Seizures occur when there is excessive neuronal activity in the brain. "This activity can be caused by a number of things including tick bites, a brain tumor, head injury or ingestion of a poison, but the most common cause is epilepsy," says Dr. Petryk. Common poisons that can lead to seizures in cats include antifreeze, insecticides, lead, rat poison and strychnine. Other causes include metabolic diseases, nutritional deficiencies or infection. It's important to determine the cause of your cat's seizure by bringing your cat in for a veterinary exam as soon as possible after the episode. 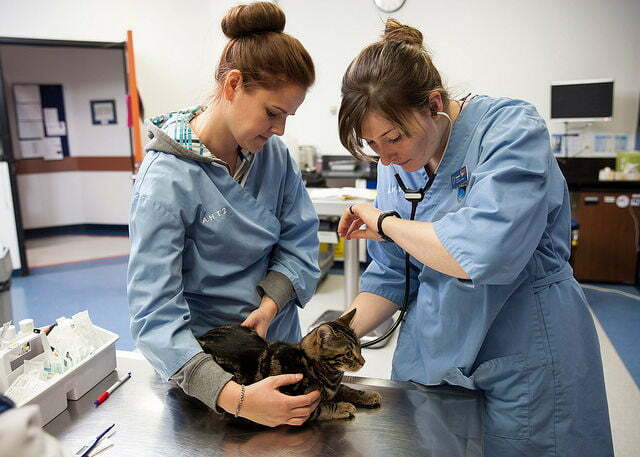 Your veterinarian will want a complete account of your cat's behavior before, during and after the episode and will run some blood tests and perform a neurological exam. An MRI or CT scan may also be recommended for further diagnostics. Your cat's treatment plan will depend on the cause of the seizure. "Seizures caused by an abnormal incident such as a toxin or head injury will stop once the initial cause is treated, while seizures caused by epilepsy are generally controlled with medication," says Dr. Petryk. Seizures can often be effectively controlled with medication such as Valium, phenobarbital and potassium bromide. However, use of these medications will require close veterinary monitoring as they can have some detrimental side effects, according to Dr. Barrack. "For cats that can't tolerate or don't respond well to these medications, Chinese medicine, including acupuncture and herbal therapy, can be an effective treatment," she says. Seizures in cats can be very scary. Just know to stand aside during the episode (and don't panic!) and contact your veterinarian as soon as possible once it's over. It will feel like a nightmare, but help is on the way. Do your other pets experience similar issues? Check out Dog Seizures: 10 Ways to Prevent and Treat Them. Rebecca Desfosse is a freelance writer specializing in parenting, family and pet care topics.